If you are lucky enough to be planning an upcoming trip to the island of Ambergris Caye, then you are in for a real treat. The exotic location boasts long stretches of beautiful, sandy beaches, breathtaking scenery, luxury accommodation and countless activities to keep you busy and entertained. Whatever the reason for your Ambergris Caye travel plans, let this guide help you with what to do, what to eat and where to stay during your getaway. Since Ambergris Caye is an island, there is no major international airport that travelers can fly into. However, nearby Belize City boasts a large, modern international airport where flights from throughout North America and the rest of world arrive and depart regularly. From Belize City, you can hop aboard a quick flight direct to Ambergris Caye, or you can opt for a scenic boat ride on the San Pedro Belize Express. Once you arrive on Ambergris Caye, it will be time to dig into the incredible local cuisine. Perhaps the most notable item on the island is lobster, which is caught fresh and devoured for surprisingly low costs compared to what you might expect in the rest of the world. There is even an annual Lobster Fest celebrating this ingredient beloved by locals as well as visitors. However, that is not the only thing to try while on Ambergris Caye. Local dishes served up in San Pedro eateries reflect the cultural influences from mainland Belize, Guatemala and Mexico. International and Western meals can be found at places like the Melt Cafe or Crazy Canuck's. While there are several accommodation options to choose from on Ambergris Caye, there are a few key things to look for in order to guarantee that you locate a welcoming, enjoyable hotel. The best hotels and resorts come complete with amenities for guests, which often include things like outdoor swimming pools and fitness facilities. Great resorts, such as the Exotic Caye Beach Resort, also boasts a variety of room styles and sizes to meet the specific needs of any traveler. The final piece of the vacation planning puzzle is deciding what attractions to include in your itinerary. While you don't want to overbook your vacation and forget about simply relaxing on the beach, there are some great things you won't want to miss. Top attractions on the island include snorkeling in the Hol Chan Marine Reserve, discovering the town of San Pedro and swimming at the San Pedro Fitness Club. 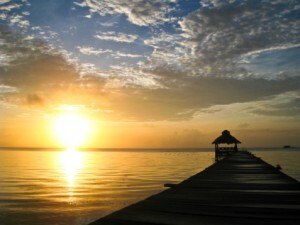 Click here for even more tips on organizing a getaway to the stunning island of Ambergris Caye, Belize.